A research project at Carnegie Mellon University is helping blind people navigate with the use of an iPhone app that directs them based on information picked up from nearby sensors. NavCog, which is expected to be made available in the iTunes Store soon, draws on Bluetooth beacons and cognitive technologies to inform users on campus about their surroundings by talking to them through the phone or vibrating. The user enters the destination, turns on voice navigation, follows directions and will be notified when he or she arrives. 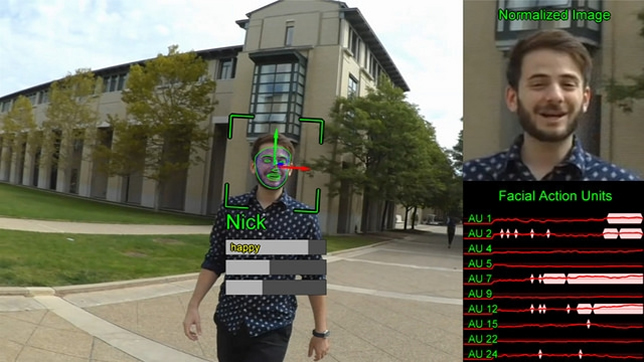 A separate function under development performs facial recognition to help the user identify who is approaching, friends or strangers, and what kinds of expressions they're showing. The researchers are also investigating the use of computer vision to characterize the activities of people in the vicinity and ultrasonic technology to help identify locations more accurately inside and outside of buildings. The app is built on the Human-Scale Localization Platform (HULOP), an open source initiative introduced jointly by Carnegie Mellon and IBM as an environment upon which to build applications specifically for people who are visually impaired. "To gain further independence and help improve the quality of life, ubiquitous connectivity across indoor and outdoor environments is necessary," said IBM Fellow Chieko Asakawa, a visiting faculty member at Carnegie Mellon who is blind herself. "I'm excited that this open platform will help accelerate the advancement of cognitive assistance research by giving developers opportunities to build various accessibility applications and test non-traditional technologies such as ultrasonic and advanced inertial sensors to assist navigation." Asakawa's research is supported with an award from IBM's Open Collaborative Research program. A video demonstrating the technology is available on YouTube.